Combine all the ingredients in a highball glass filled with ice. Stir and add the lemon-lime soda. 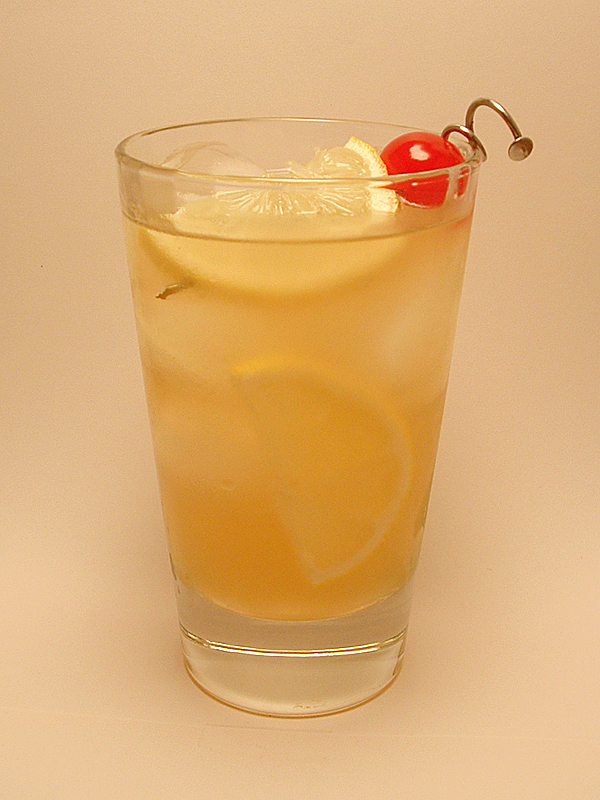 Add slices of lemon, and garnish with a lemon wedge and maraschino cherry.